A study suggests one third are killed by other patients. PATIENTS WITH MENTAL illness are two and a half times more likely to be victims of homicide than people in the general population. This is a according to a new study published in the Lancet Psychiatry journal today. The study points out that homicides committed by patients with mental illnesses have received a lot of media attention but their own risk of being victims and their relationship to the perpetrators has rarely been examined. It looked at data on victims and perpetrators of all homicides in England and Wales between January 2003 and December 2005. Researchers found that, of the 1,496 people killed, 6% of them and been under the care of mental health services in the year before their death. One third of them were killed by other patients with mental illness. 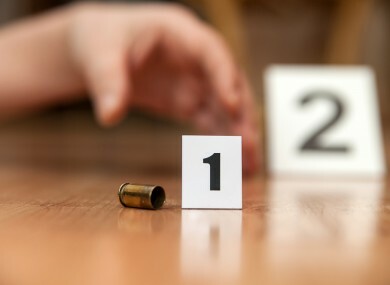 In 23 homicides in which the victim was a mental health patient killed by another mental health patient, the victim and the perpetrator were known to each other either as partners, family members, or acquaintances. In 21 of these 23 cases, both the victims and perpetrators were undergoing treatment at the same National Health Service Trust. Alcohol and drug misuse and a history of violence were common among both patient victims and perpetrators. The study also found that in the 3 years to 2005, 213 mental health patients were convicted of homicide – accounting for 12% of all homicide convictions. Study leader, Professor Louis Appleby from the University of Manchester said findings show that “specialist mental health providers in England and Wales can expect one of their patients to be the victim of homicide roughly every 2 years”. Email “Patients with mental illness twice as likely to be victims of homicide”. Feedback on “Patients with mental illness twice as likely to be victims of homicide”.